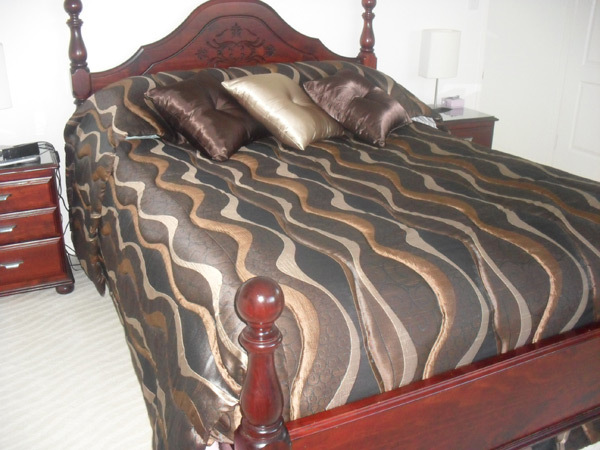 We have a large variety of bedspreads to suit your room, with both ready made and custom made. Bedspreads can create neatness to a bedroom. 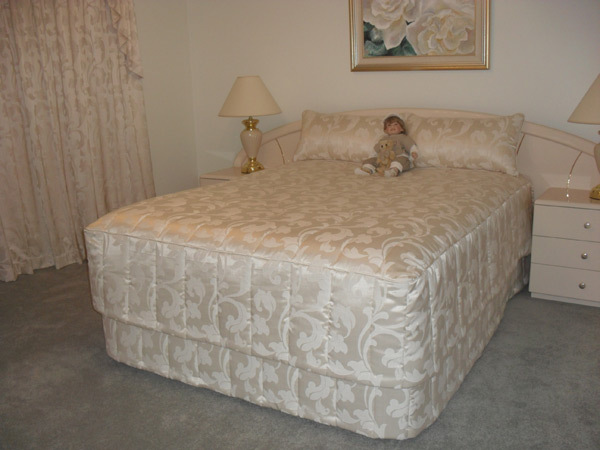 Custom made bedspreads are better suited to today’s beds which are not of standard height. There are many fabrics to choose from for custom made bedspreads to suit your decor, along with various quilting designs. 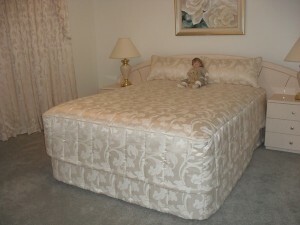 We can fit all bed sizes including King, Queen, Double, King Single and Single. Katie’s Curtains supplies bedspreads to a number of hotels and apartments in the Gold Coast area.